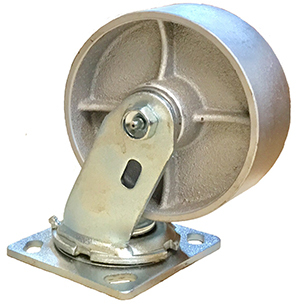 Orbit's All-Steel Casters contain steel washers and bearings. Perfect for the Powder Coating Industry. Easily withstand 600 degree temperatures. The 5x2 casters are rated at 1000 lbs. The 8x2 casters are rated at 1200 lbs. The 4x4 steel plates include 3/8" bolts, washer, lock washers. Use on all steel casters that are subject to maximum temperature of 450 degrees. 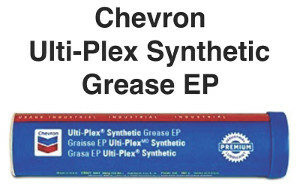 Excellent, lubrication, corrosion protection and water washout performance. 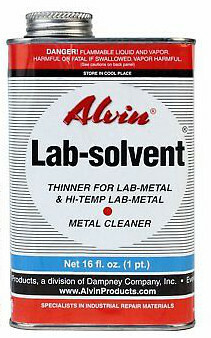 Lab-Solvent Is used to clean and prep metal before using Hi-Temp Lab-Metal Lab-Solvent Apply to unused Hi-Temp Lab-Metal after each use. Hi-Temp Lab Metal Now a cost-effective and simple way to repair damaged metal that will be powder coated. Hi-Temp Lab Metal Eliminates pinholes and craters due to out gassing caused by oven temperature. Hi-Temp Lab Metal Is a one-step process which means no hardener is required to mix with filler. 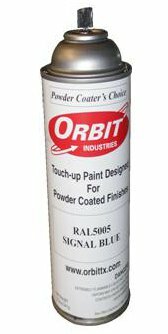 Specializing in Touch-Up paint for powder coated finishes. We stock 184 RAL Colors, and we carry the most popular colors for major manufacturing companies! If we don't have what you are looking for we can custom match any color. Just send in a chip of the color you are looking for, and we can custom make your paint! We also stock Orbit Hose Cleaners that will cut changeover time between colors by fifty percent! We also stock powders for all RAL colors!